She started writing about health-related issues while attending Medical School and doing research at the Laboratory of Neuropsychology of the Niguarda Hospital in Milan, where she still contributes to the research undercourse. Her studies on the cognitive effects of the inhibitors of acetylcholinesterase in Alzheimer’s disease and of antiretroviral drugs in HIV-positive patients, and the analysis of cognitive competence in patients with drug-resistant epilepsy candidates for stereotactic surgery lead to publications on scholarly journals such as Brain, Epilepsia and Neuropsychologia. She worked as junor editor in magazines aimed at the medical profession and at the general audience for the Milan-based Agency Zadig, contributing articles to several media such as L’Espresso, Panorama, il Corriere della Sera, il Corriere Salute, Il Sole 24 Ore Sanità, Le Scienze and Mente e Cervello. In 1999 she was hired as chief editor (caporedattore) in satellite television thematic channel devoted to science and health called Salute & Benessere Network (belonging to the Sole 24 Ore Group). Since 2002 she is scientific director of the Agency Zoe of Scientific and medical information, that she contributed to launch. She taught Theory and Techniques of Science Popularisation and Science Journalism at the Faculty of Letters and Philosophy and the Master School in Journalism of the University of Padua. Currently she teaches Science Journalism at the Master School in Journalism of the Milan State University, and scientific English at the faculty of Psychology of the University of Pavia. She blogs about neuroscience for Le Scienze/Scientific American Italy. Since 2010 she has a purse for research at the Niguarda Hospital in collaboration with the Laboratory of Cognitive Neuropsychology of the University of Pavia. Her activity is focused on the practical and clinical applications of neuroethics, and of the public perception of the controversial issues stemming from research in neuroscience. 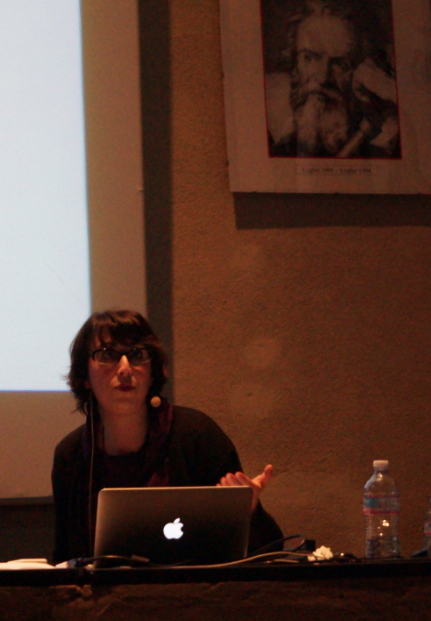 She holds seminars on neuroethics at the Faculty of Psychology of the University of Pavia. She is coordinator of the working group on communication and education of the European Association for Neuroscience and Law. She is member of the International Neuroethics Society and board member of Science Writers in Italy (federated both with the European Union of Science Journalists’ Associations and the World Federation of Science Journalists).